JAKARTA, Feb. 9 (Xinhua) -- Hot lava and volcanic materials that spewed from Mount Karangetang volcano in Indonesia's North Sulawesi province cut roads and buried bridges, while bad weather hampered evacuation operations, officials said on Saturday. The sliding hot lava nearly reached a height of 300 meters in Batubulan village in Sitaro district, where the villagers could not leave the area via land transport, said Rumbayan. "The hot lava and volcanic materials have slid down, burying roads. Bridges were also damaged and disappear from the surface because of the flows of the lava and materials," Rumbayan told Xinhua over phone. The village is located about 2,000 meters from the mountain and villagers live alongside a river where the upstream is in the slope of the volcano, making the village vulnerable when a stronger eruption or lava floods occur, he said. But weather has been unfavorable in recent days, with big waves hampering the ship to move close to a seaport, he said, adding that "this also makes the distribution of aids difficult." 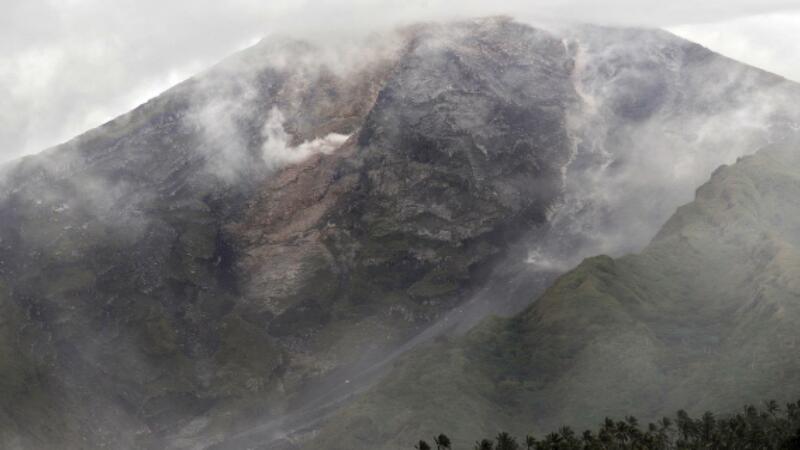 To handle the risks of the eruption, local authorities declared a seven-day emergency status since Feb. 6. On Dec. 21 last year, volcanologists raised the alert status of Mount Karangetang to the second highest after the volcano erupted. Mount Karangetang with the height of 1,827 meters is among the 129 active volcanoes in Indonesia, a vast archipelagic nation home to over 17,500 islands.